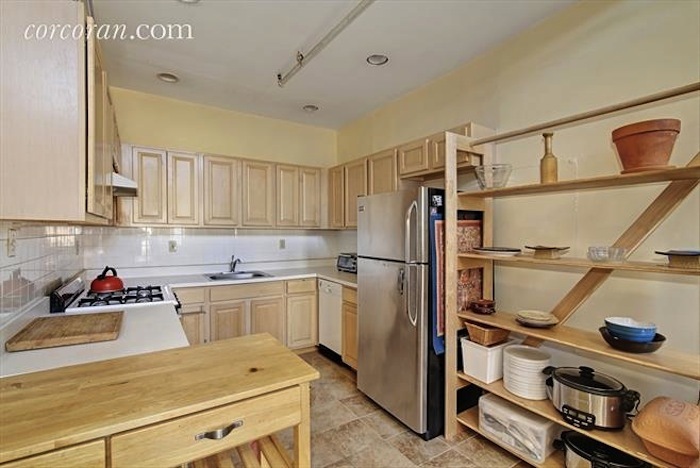 The four-story townhouse at 106 Dupont Street in Greenpoint is nothing to write home about. In fact, it’s straight up boring, and it’d be fair to assume the interior was, too. 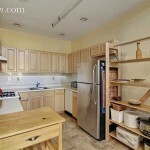 But the building, which was gut renovated in 2006, actually holds some cool apartments inside. It was separated into three units: a super lofty, top-floor duplex with three bedrooms; a middle floor-through apartment with two bedrooms; and a first-floor, floor-through unit with two bedrooms and a private garden. The listing is marketing this as a good investment for “an end-user who wants to collect great rental income,” as it’s currently occupied by tenants. But they’ll have to cough up a lot of cash first: the property is asking $3.78 million. 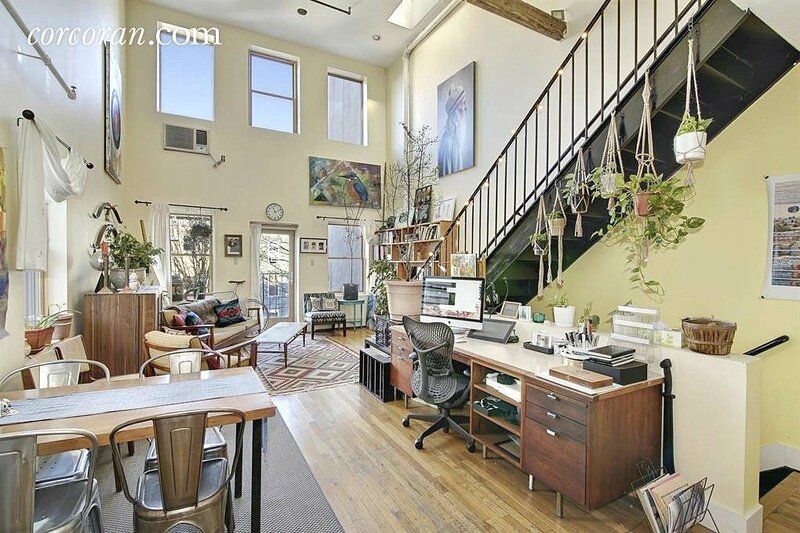 The top-floor duplex, we’re guessing, is the best apartment, because that’s what all the photos are of. 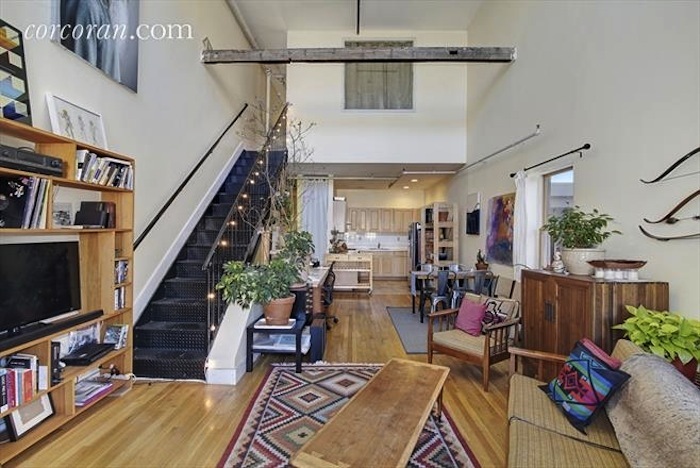 It’s got soaring 18-foot, double-height ceilings, with a window in the upstairs den that looks down to the rest of the apartment below. This building is also packed with outdoor space. 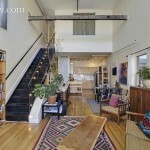 The duplex comes with three total balconies as well as access to a private roof deck. The second-floor two bedroom has its own private balcony. And finally the first floor apartments has a private garden. The townhouse is located only three blocks from the northernmost point of Greenpoint, where the neighborhood meets Newtown Creek. Although there are plenty of things to do along main drags like Manhattan Avenue, it’s only serviced by the G train–quite a downside to living in this charming neighborhood. 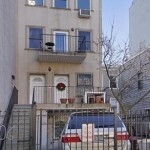 The train is located about seven blocks from this townhouse.